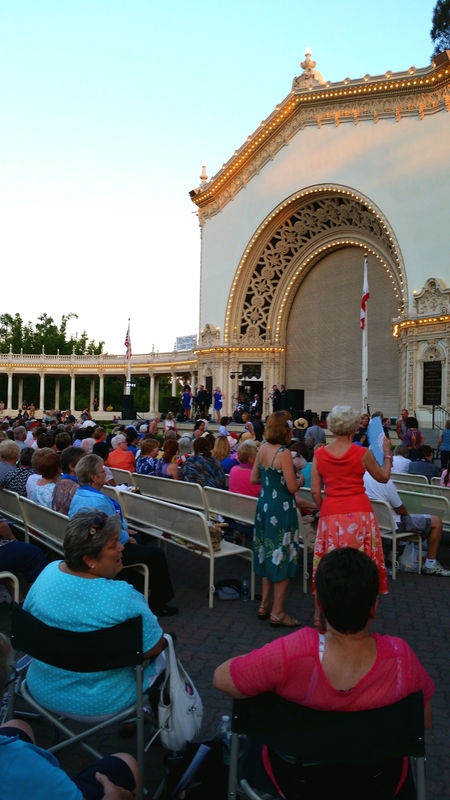 The concert was held at the Spreckels Organ Pavillion. There were people with picnics, children playing with hula hoops and dogs galore. 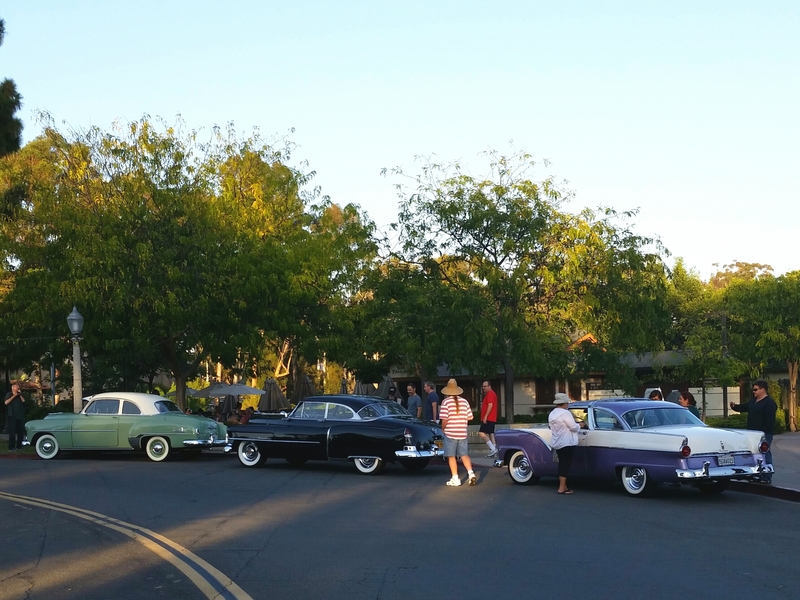 There were also some old cars on display. 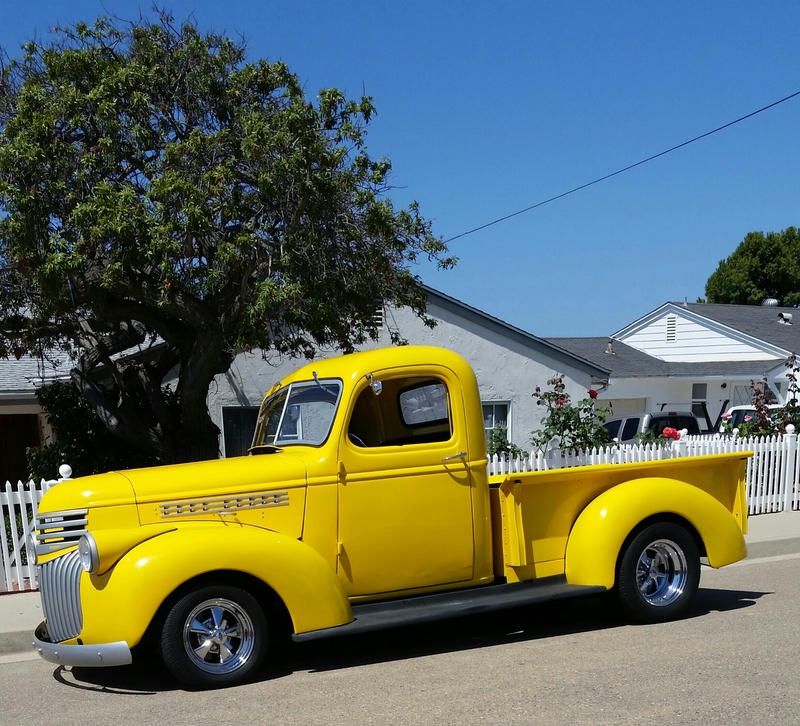 The next day I was walking in the neighborhood and walked past this lovely pickup. 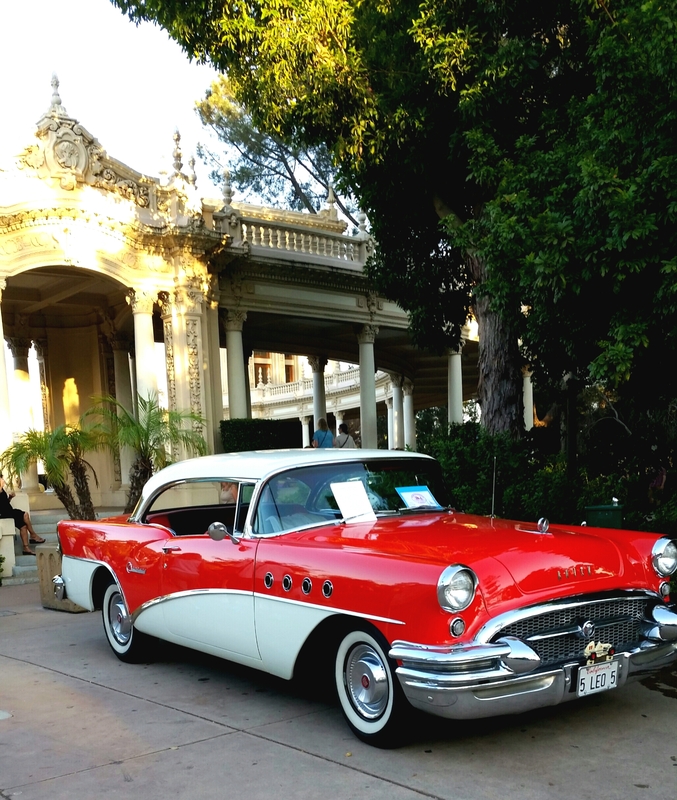 Another fun evening in Balboa park, obviously one of my favorite places to go to in San Diego. Thanks for joining me. 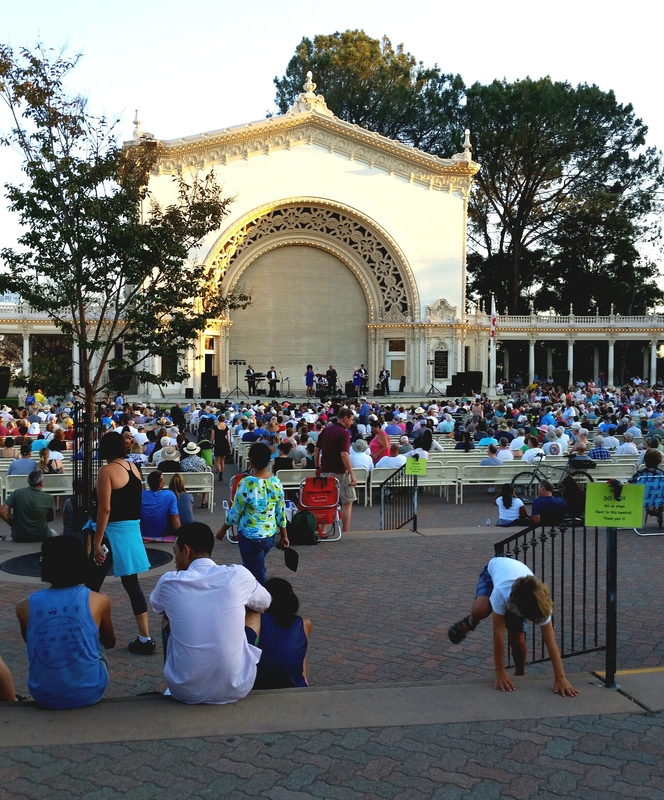 Did you hear any concerts this summer? Most of my time and energy these last numerous months has gone into intensifying my ongoing work to assist in the transformation of the planet. So I’ve been doing very deep spiritual work 24/7. 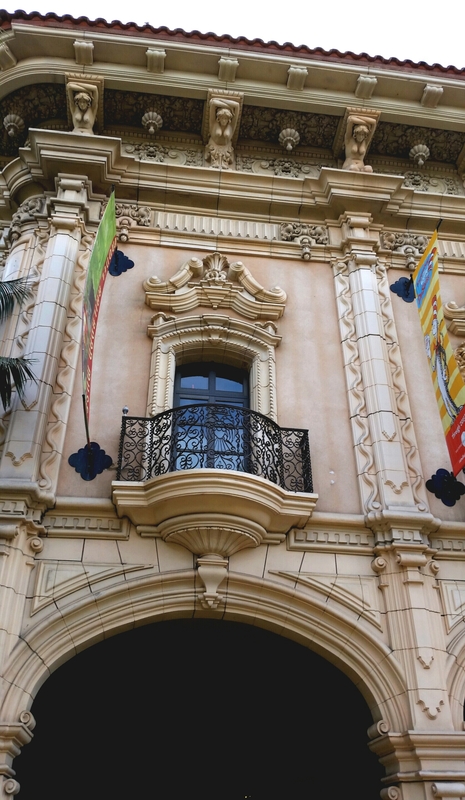 So when I do get out, I go to my familiar places….Pacific/Mission Beach, Old Town San Diego and Balboa Park, or just walk in the neighborhood. Once the shift comes for the planet, I will be moving on and this blog will get more varied. So thanks for hanging in there 🙂 I’m grateful though that at least between these four locations, I always find interesting and beautiful things to see and enjoy and I hope you enjoy them, too. 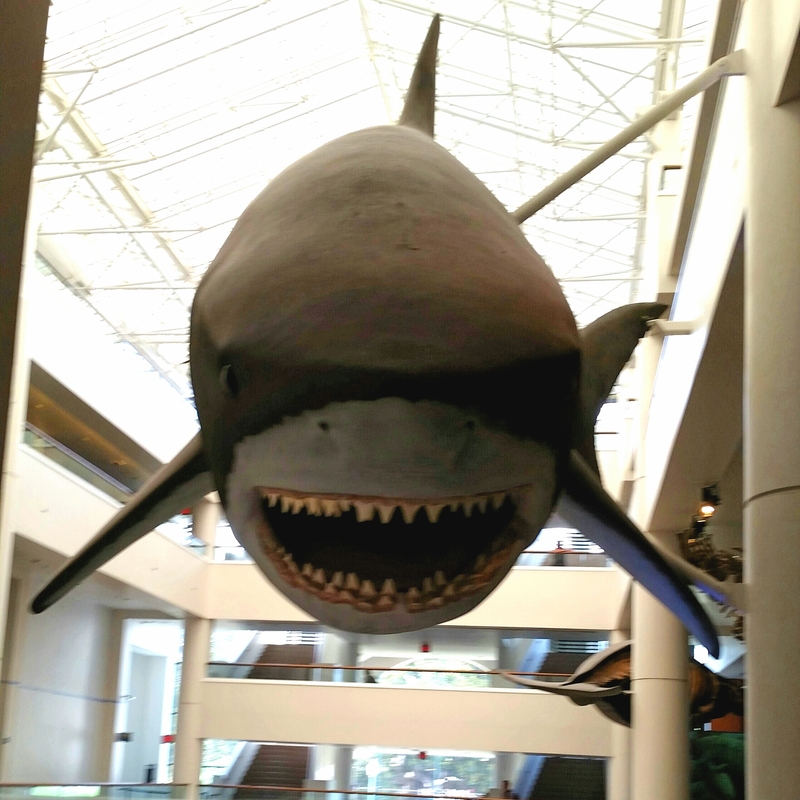 Yesterday, I went to the Natural History Museum to see the latest addition to their movies. 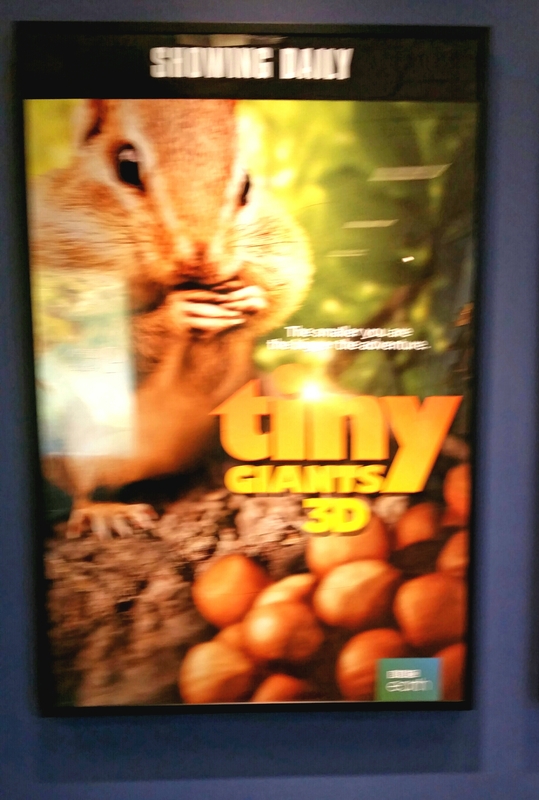 This is a photo, badly out of focus, sorry, of the poster for the latest new film, “Tiny Giants”. It was 3D, beautifully filmed and a sweet story about the life of a young chipmunk, preparing for winter in the cold forest and a grasshopper field mouse venturing out for the first time, in the venomous Sonora desert and both of them trying to avoid the dangers in their environments. I took a break to eat my packed picnic dinner and read and then headed over to the Cinco de Mayo Concert in the park. I got there to hear some of the practicing, as the crowd started to fill in the seats. 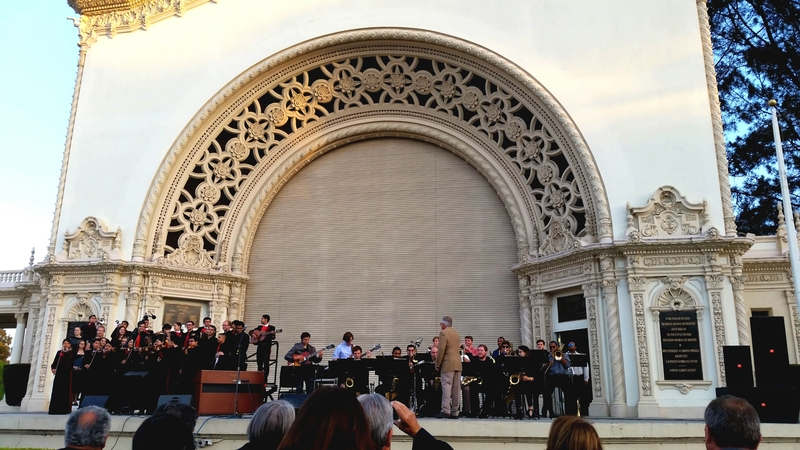 The concert showcases students from San Diego State University and is put on by the Kiwanis Club of San Diego and supported by other donors as well. It is also a fund raiser to raise scholarship funds for students. 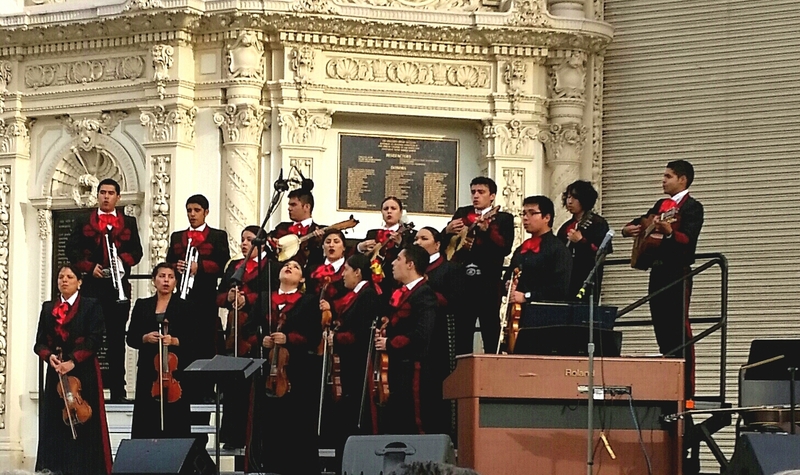 During the concert there were some great remarks shared about the importance and history of Cinco de Mayo and the contribution to the US made by the 1862 victory at Puebla in Mexico when the much smaller and under resourced army beat the undefeated for 50 years and much bigger French army. I love Latin music and culture, studied Salsa dancing and grew up around Latin culture so love the music. All the groups were very talented. It was a lovely afternoon and evening and as I walked back to my car through the ends of the sunset, I was grateful to have this refuge in the city to welcome me and give me respite during the intensity of the work I am presently doing. 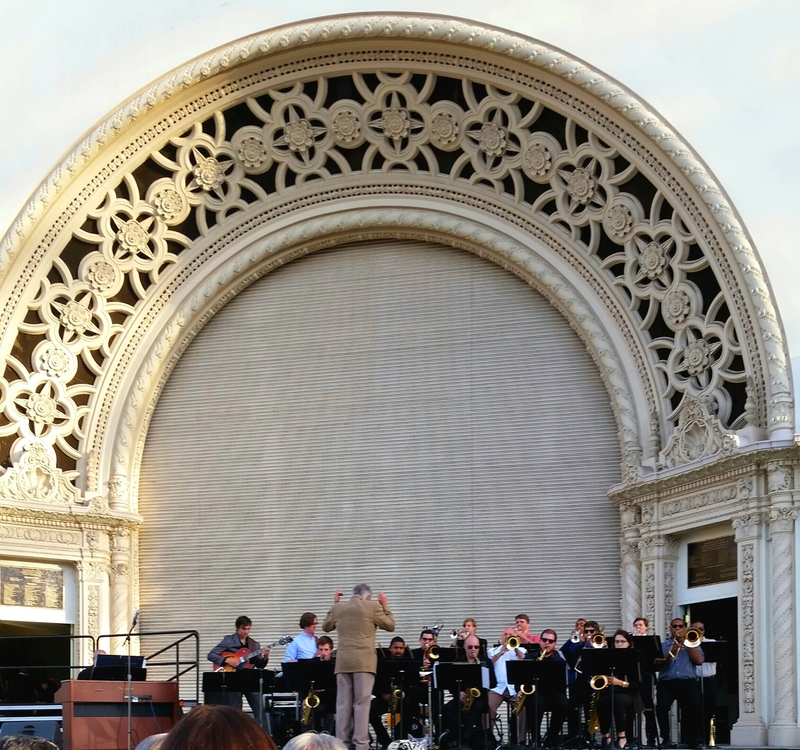 If you get a chance, come check out Balboa Park and it’s many offerings and the musical skills of the students at San Diego State University.